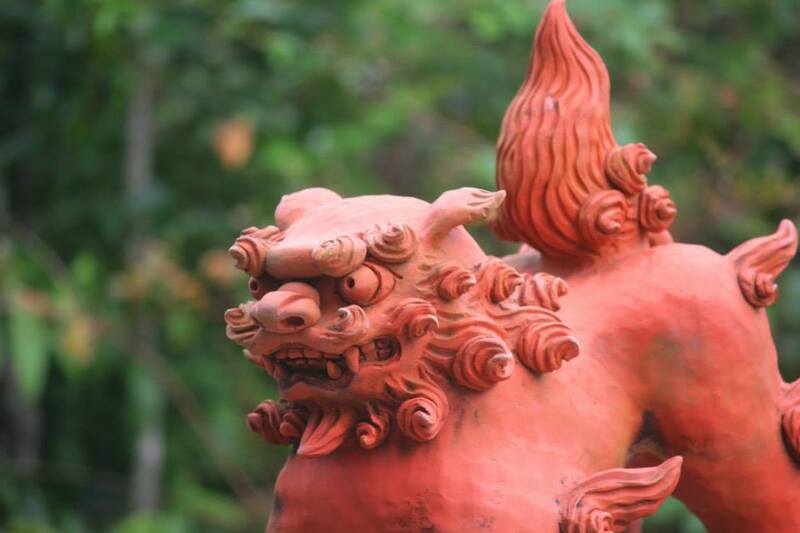 From Chinese Shi comes Okinawa’s Shisa, a cross between a lion and a dog. Each countries such as China, Japan and Korea have different versions of it. Rarely you might stumble upon it in other parts of the world. 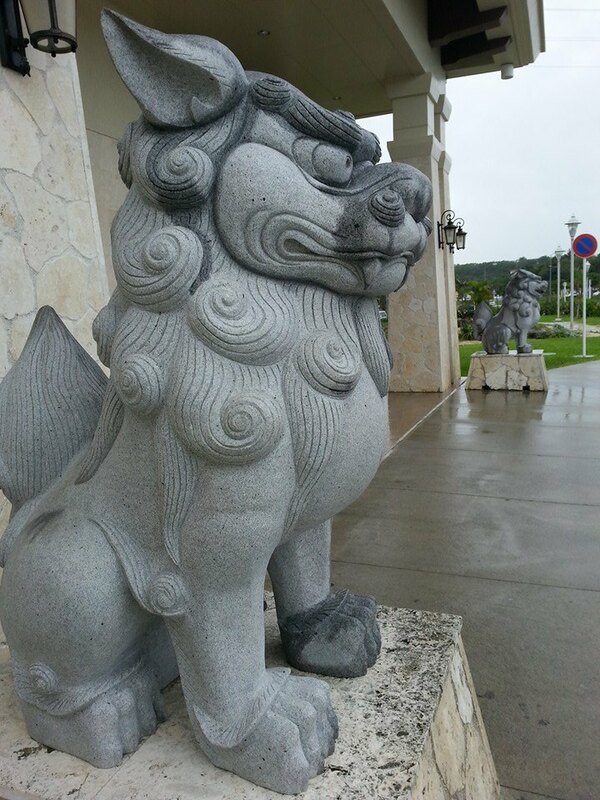 There are noticeable things in Okinawa – the beautiful beaches, the 360-degree low clouds, vending machines, and of course, shisa. 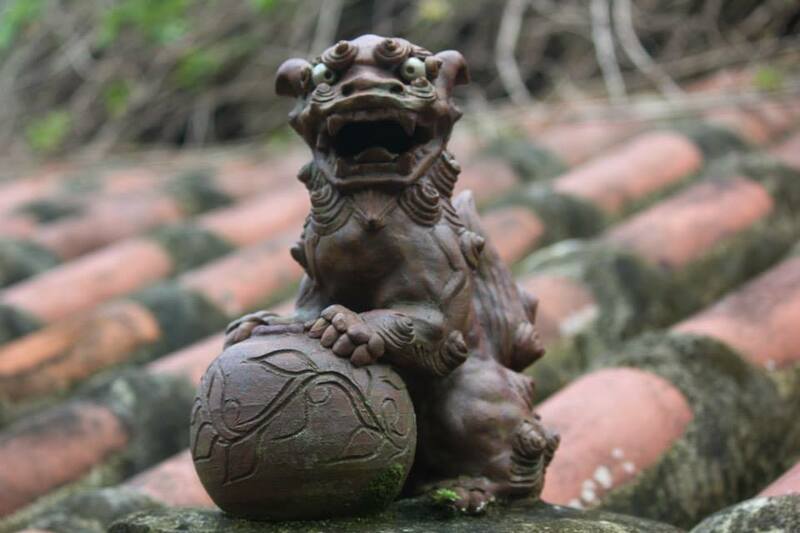 Older ones were traditionally placed in imperial places and wealthy people’s homes. 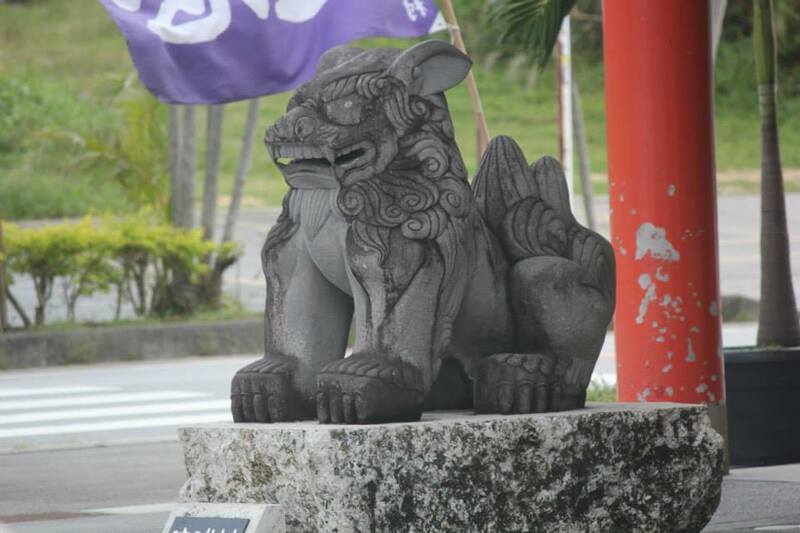 In modern Okinawa, shisas are everywhere! You can see it on rooftops. Being that they serve as wards, they are usually positioned in front of houses and business establishments. 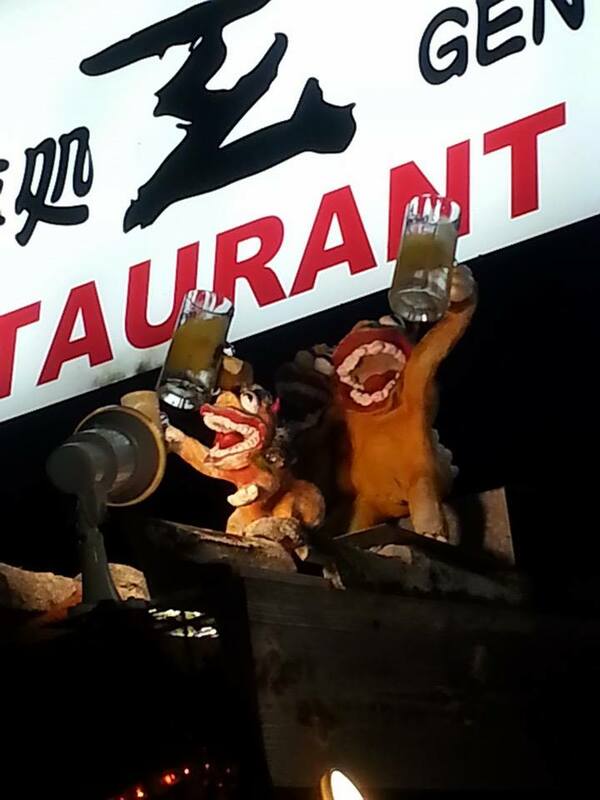 The one to the left is normally has its mouth close; they attract and keep the good spirits in. 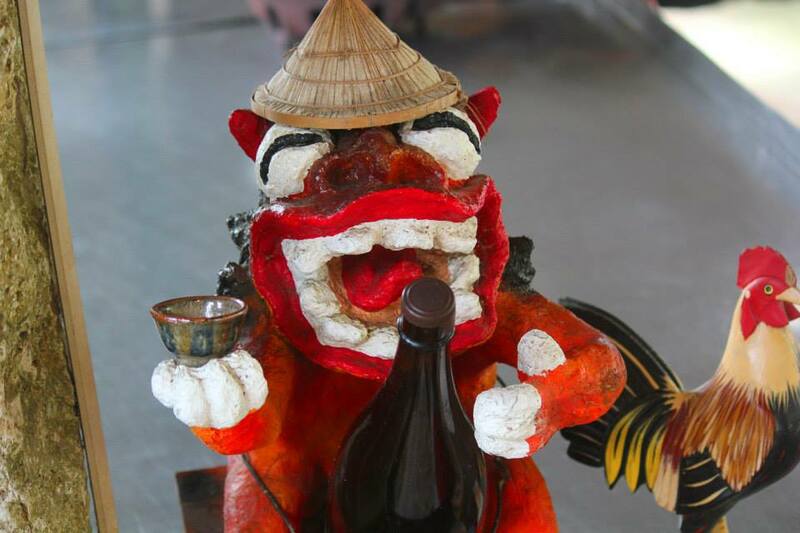 The one on the right is usually has its mouth open; they shoo away bad spirits. 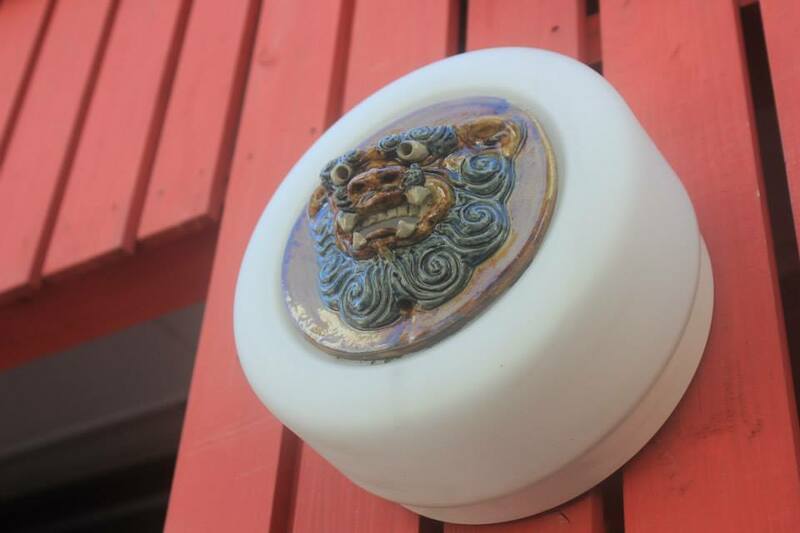 There are also in plaques in different shapes of usually square, rectangle or circle. 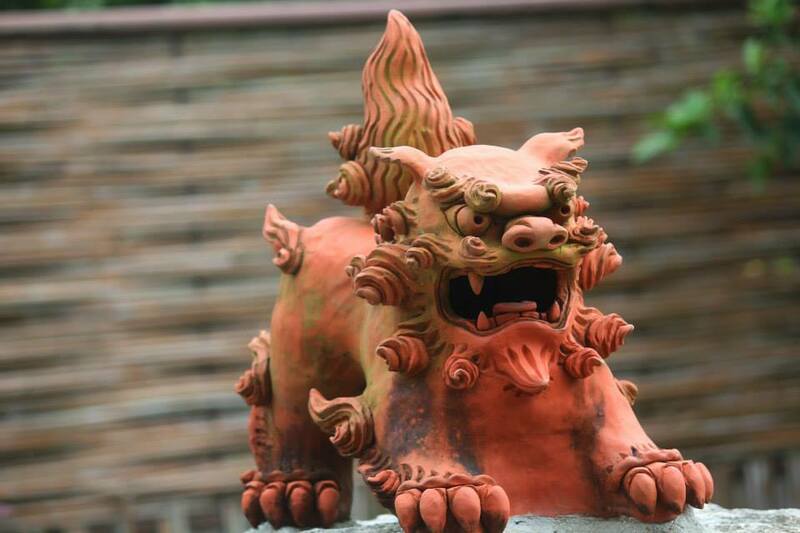 Shisa, in general, have eyes that are magnetizing as if challenging whoever looks at it. 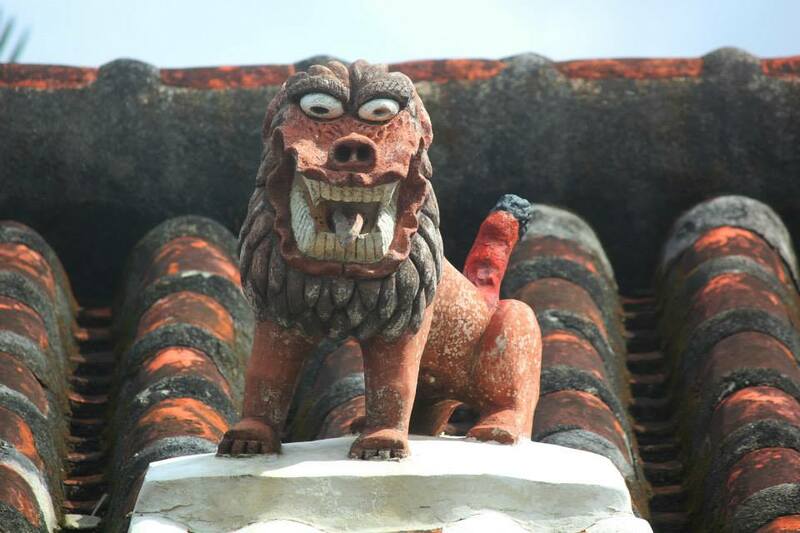 In old Okinawa, shisa are mostly fierce-looking. 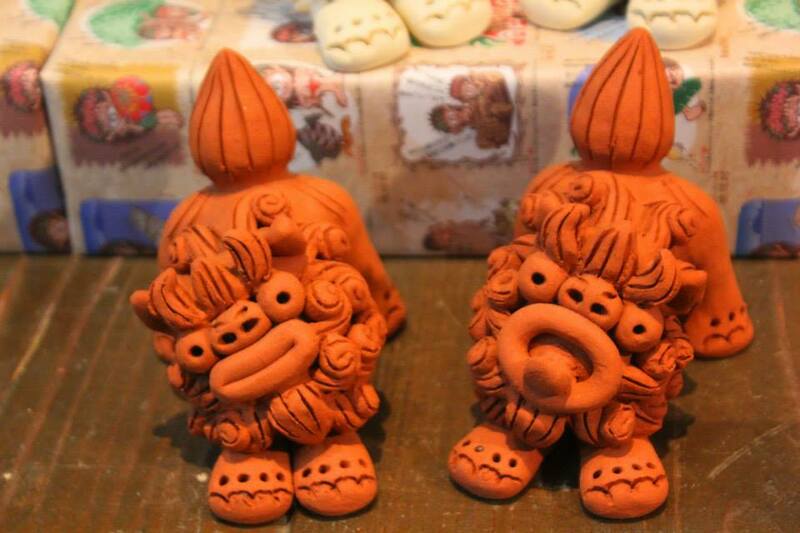 There are plenty of shisa variations. 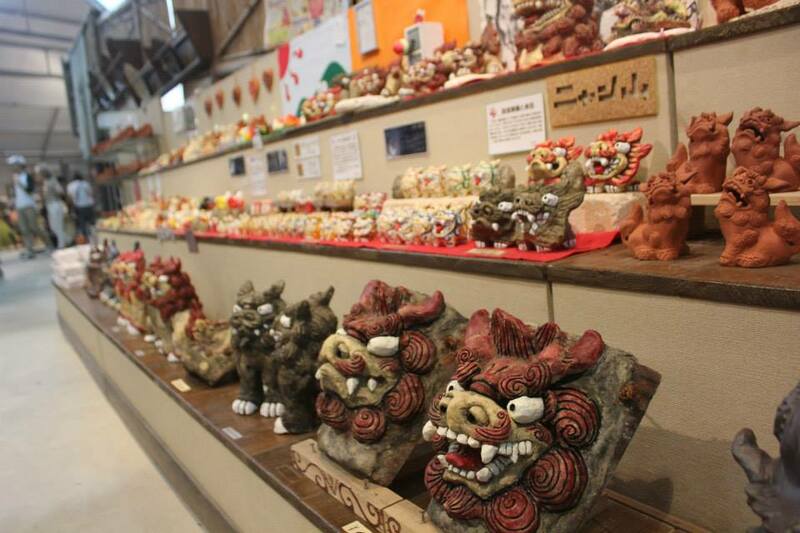 In modern Okinawa, versions of shisas are made friendlier and more appealing. They can be highly decorated. They are now in colorful designs. … and in different sizes. 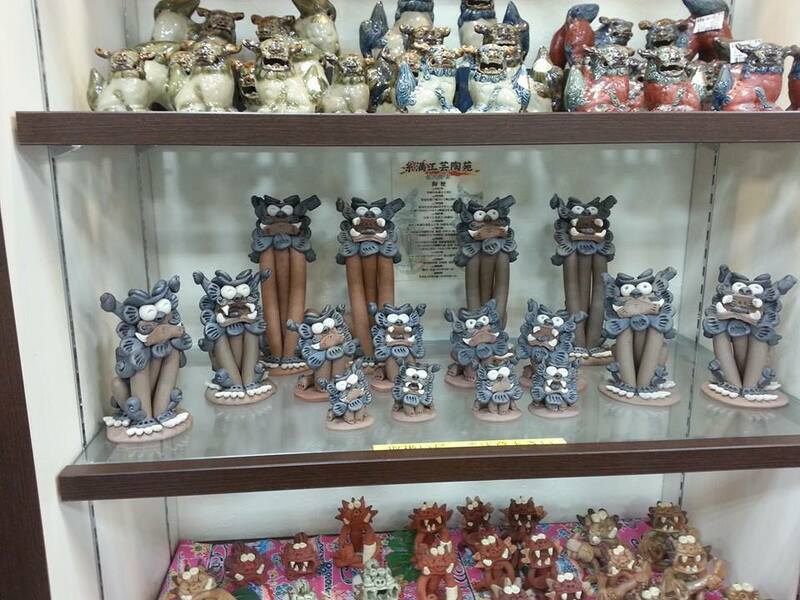 Being that shisa attribute largely to Okinawa culture, they are now sold as souvenirs. And as proven by the overload of shisa pictures on this post, I just can’t get enough of it. Learn more about shisa from another currently Okinawa-based blogger, Eflida, and her blog, Because i am uniquely and wonderfully made. Thank you. I learned something new today! We learn something from the blogosphere everyday. Thanks for the comment and visit. It is interesting how Japanese people from Okinawa are playing with their idol. Thank you for another piece of information and nice pictures. Thanks, Lautal. 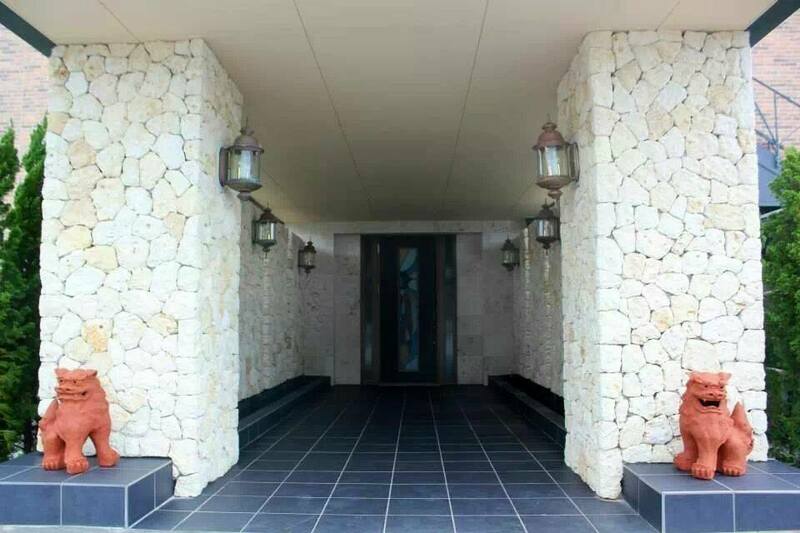 It is still amazing though that even in this modern world, with big improvements in technology and rising buildings, Okinawans and the rest of Japan are still very rooted with the old traditions, newly modified or not. That’s something I can’t confidently as much with m own motherland, Philippines. I see you posted some on you blog. Will make the visit soon. 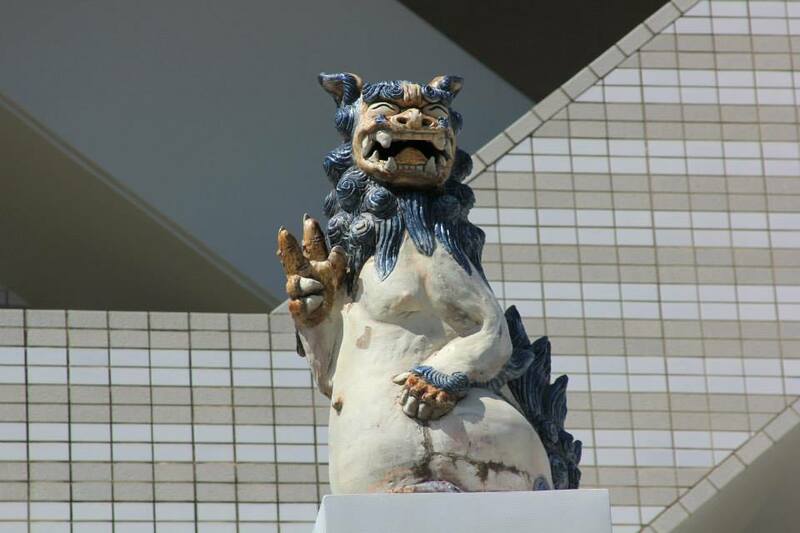 Historically, Chinese and Japanese have passion for Shisa. This is a cool post! Thank you are making effort to introduce Japanese culture to us! 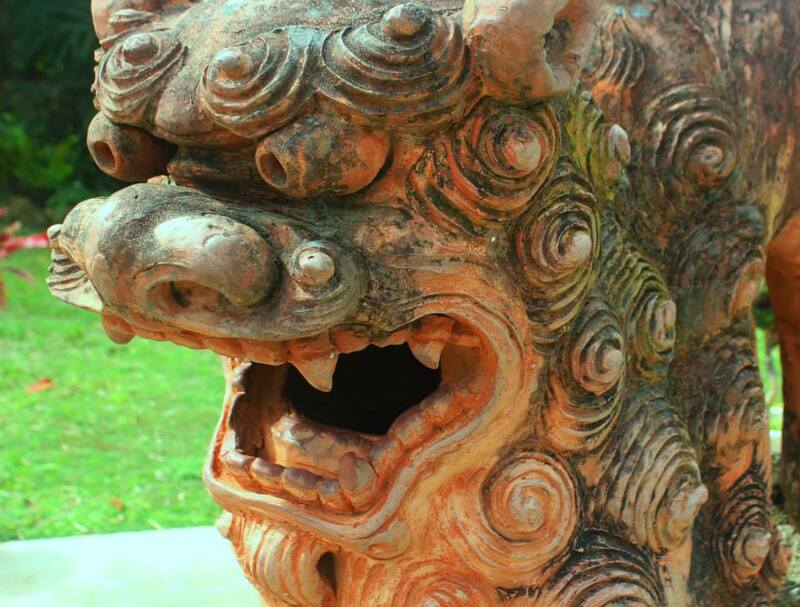 Love all the Shisa…The first one is beautiful! 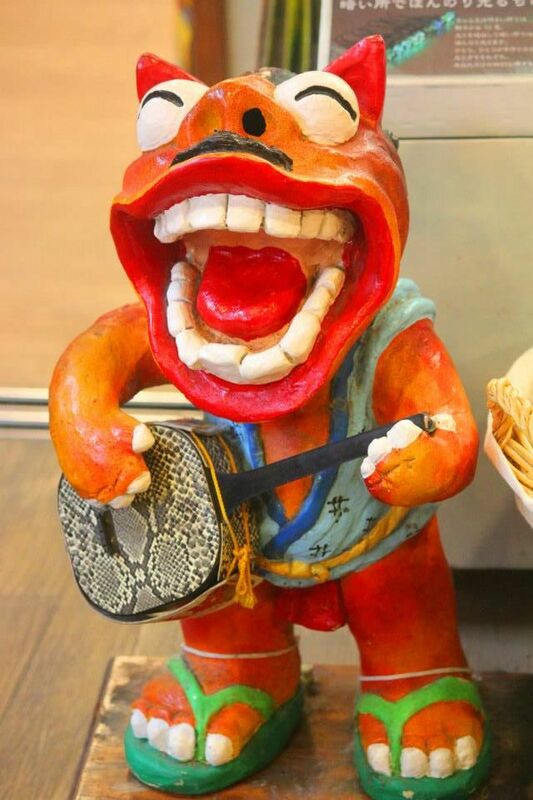 Next time I’m in San Francisco, I have to go have a look at the two Shisa at the entrance to Chinatown to see if they follow the left one mouth closed and right one mouth open. Great! Remember to let me know. I bet when I return back to th states, I’ll be looking around for it too. I love them Rommel – but the traditional ones not the modern. Do you have a favourite? I do like the traditional better, but they really are intimidating looking. The souvenirs I got are the traditional ones. I do however also love the ones that depict Japanese culture. 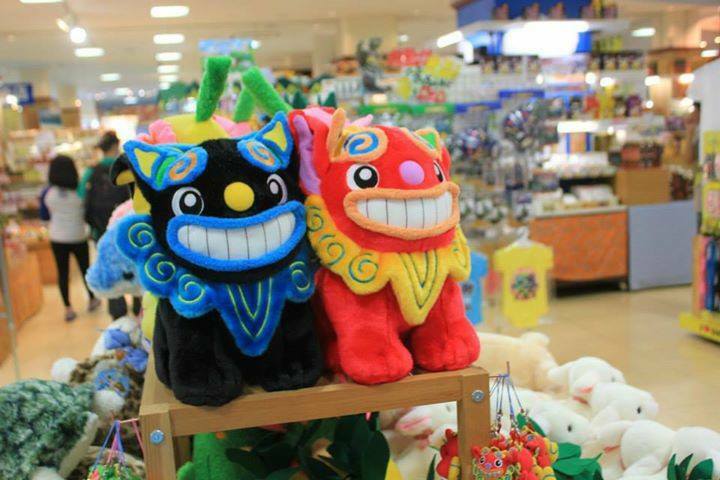 I want to buy a shisa set wearing the Eisa costumes and taiko drum. Love the variety of Shisa faces ! I remember when I was a kid living in Okinawa and I saw shisas literally EVERYWHERE. Thank you for explaining what the closed mouth/open mouth pairing is supposed to mean – it was always a mystery to me! Didn’t knew it either until I read it from the featured blogger. I love that he has a mustache, and yes, the flip-flop catches the eye. Fascinating post with wonderful, expressive photos. Yeah, I just didn’t want tobe sexist. Ahihihihi. 😀 It’s just that I don’t think there’s not much definite distinction between the two. They’re really are very similar to each other. I had no idea that they were so abundant in Okinawa. It makes me think of how ancient Crete had variations of bulls horns everywhere. Maybe possibly as a guard too, or like for good fortune like other businesses display Buddhas in their establishments. I was surprised at the tons of shiisa. 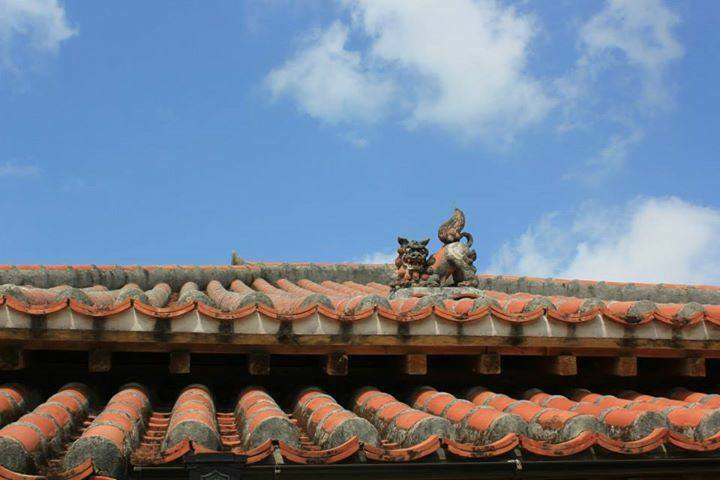 They are one of Okinawan symbol. 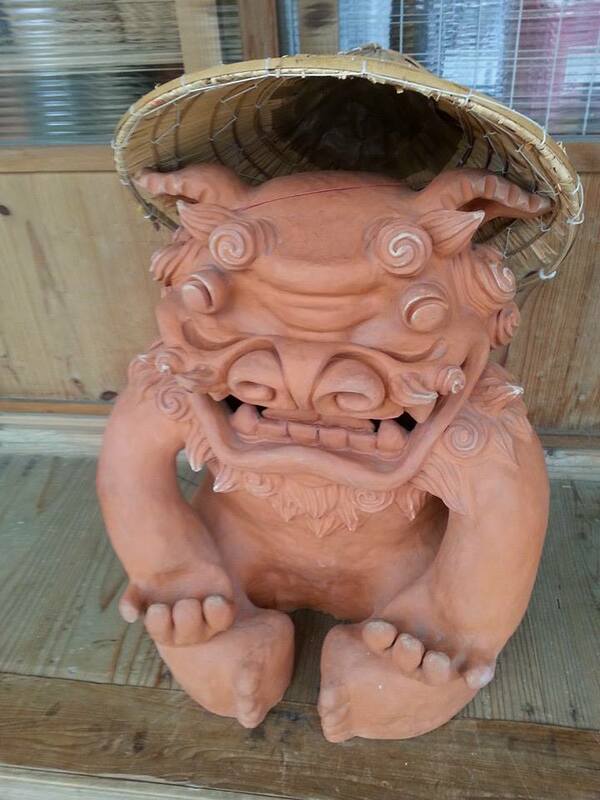 Shiissa is different from Komainu in Japan. Thank you, Cocomino for the link. You’re the best! 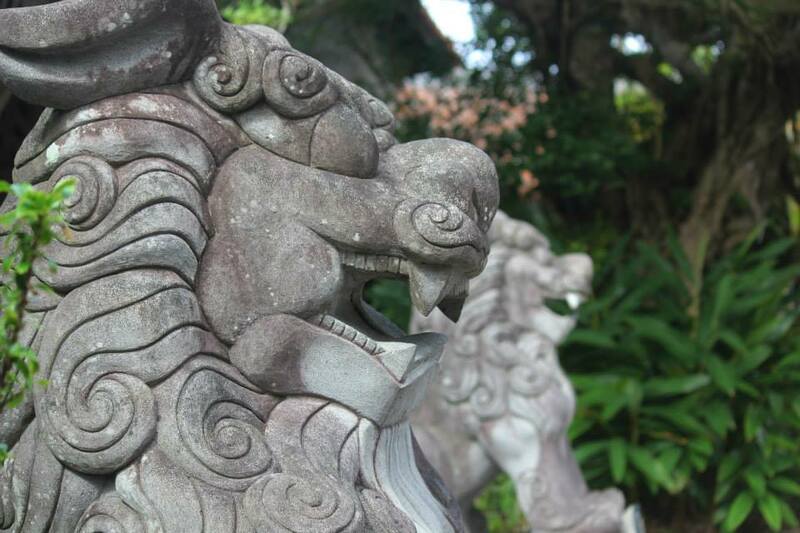 I think those shisa are very similar to some of the shisa here. You can still see the dissimilarities though. 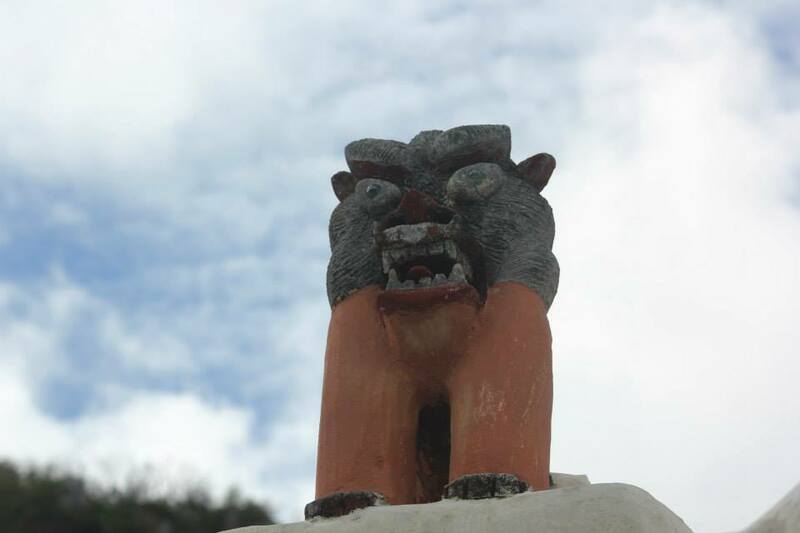 And I think I’ve seen some of that kind of shisa here in Okinawa as well. Agreed! Well the modern ones aremainly for souvenirs, or likely to be seen in businesses. 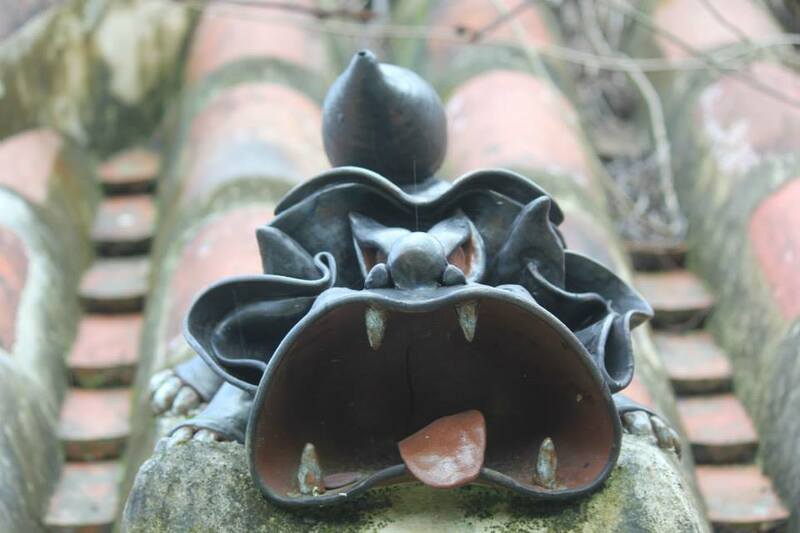 They still mostly use the traditional ones as gate guards for houses. I am sure you have already studied photography, formally. I admit, the pictures is what I look at first before reading. And your pictures now, Rom, are way stunning than before that you can already tell stories out of them. I am sure you have already studied photography, formally. I admit, the pictures are what I look at first before reading. And your pictures now, Rom, are way stunning than before that you can already tell stories out of them. No! I have not. Just this afternoon there is a setting in my camera that’s messing up my pictures, but I could not, for the life of me, don’t know how to change a certain setting. Thanks for the kind words, Sony. That’s very nice to know, Jo. I can’t wait to place my fierce little chaps in my room. Awesome. I was expecting a nargileh/hookah/shisha when I opened this post, but this was a cool surprise! I appreciate your checking out my new blog CHICKENurture and for introducing me to your blog! I have always wondered about the story behind shisas and you have explained them simply and beautifully with your photos. It makes me want to get a couple for my chicken yard to scare away the predators! Thank you for sharing. Thanks for the comment and visit, Singing Luna. 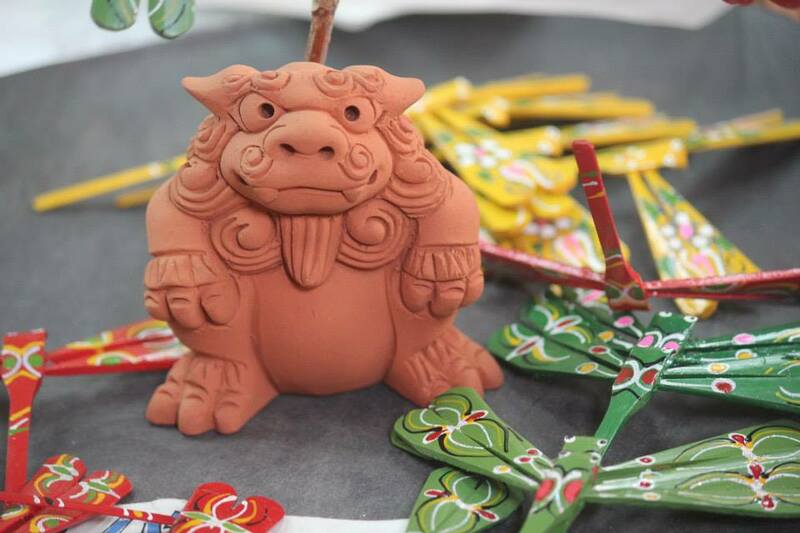 Nice to get some background on the shisa and very telling to be shown all these traditional and contemporary examples. Thanks for dropping by. Gladly to share. Thanks for the comment and visit, Christian. I love these! What a great collection of pictures. Interesting sculptures – merci, too, for visiting my blog. Thanks for the comment and visit, heidi. I’ve seen these but didn’t know much about them. Now I need a few to ward off evil spirits. Does that help with writer’s block? 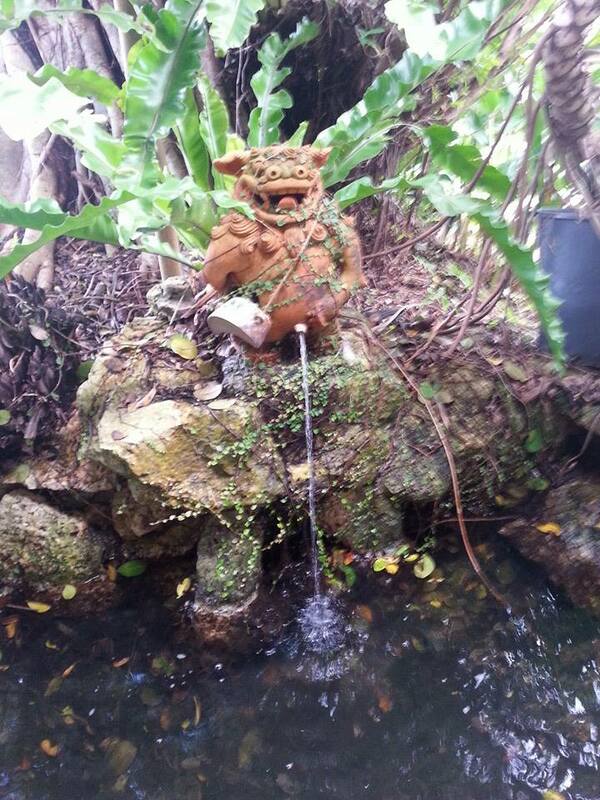 Ahihihi… You don’t need a shisa for that. A walk on the beach or a nearby park, perhaps? 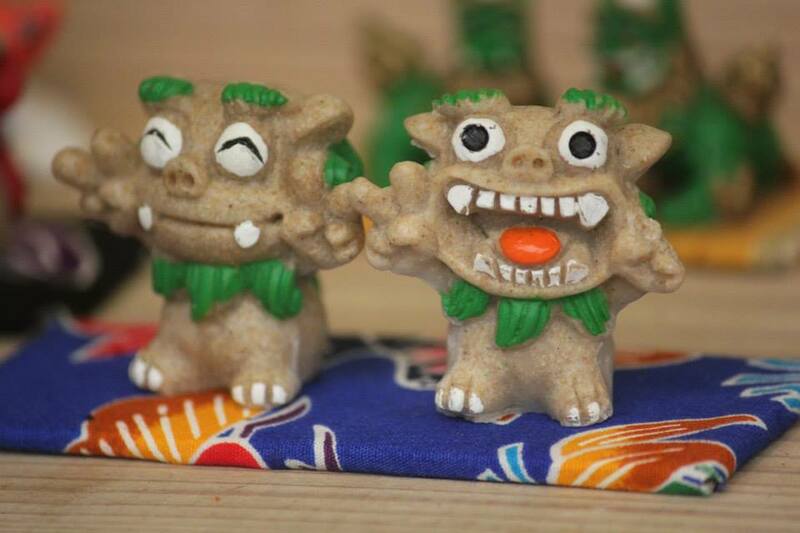 😀 i wonder if I see a shisa holding a pad and a pen. I think that would be very rare.